I used three of the Maybelline New York Color Show Bleached Neon polishes to get this look: Pink Punch, Ultra Violet and Day Glow Teal. I loved it like that on it's own, but to add an extra pop I used some circle glitters are from my bottle of OPI I Snow You Love Me to make a small accent on the ring finger. I don't think I've ever used this OPI polish since it's basically just a bottle of circle glitters you need to individually place, but you can see the gorgeous multidimensional holographic gorgeousness of them in the bottle which is what pulled me into picking it up back in the day. It's one of those polishes I really wish I got more use out of. That's it from me for today, but check out all the other gradient fills below! 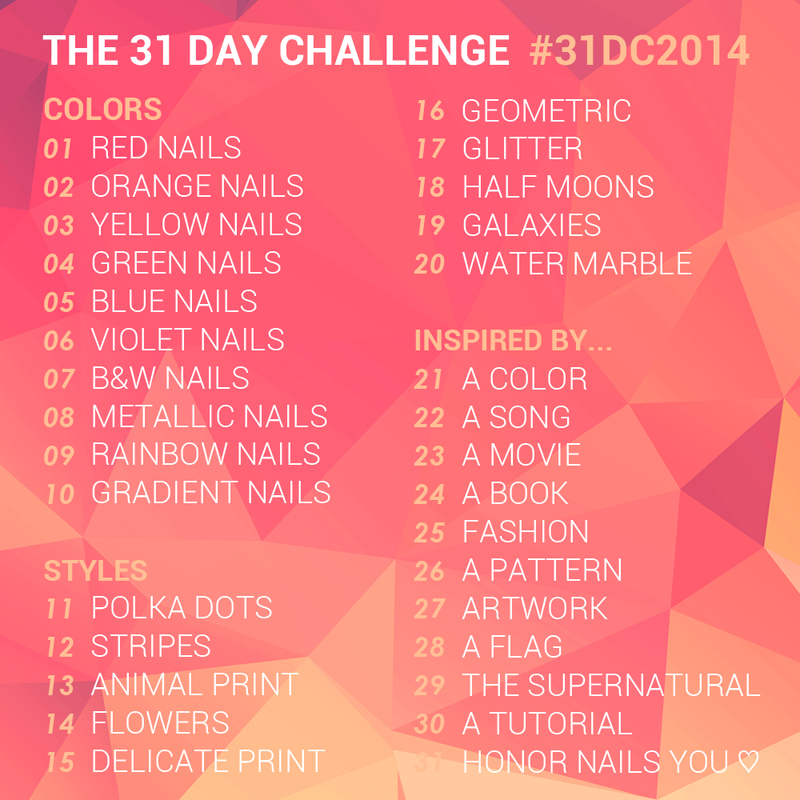 Three colours' gradient isn't that easy! I have yet to make it work for me. I love the colours you picked and I refuse to read that wintery word you mentioned! Thank you! I'm always trying to up my gradient game. :) And let's forget I even said the S-word! 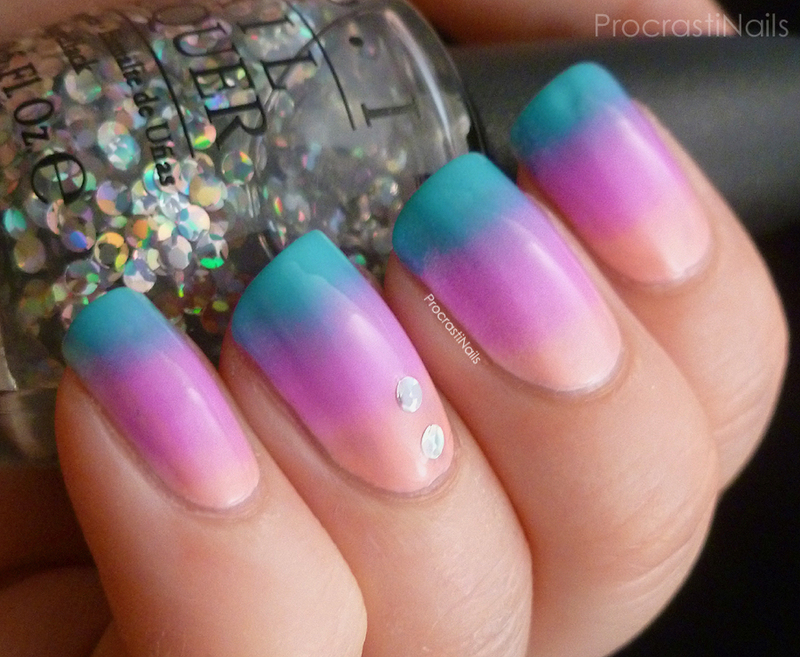 What a pretty gradient! I like the two pieces of glitters too. Great color choice - love gradients! Thank you, me too! And gradients + glitter is always a good choice! holllllllly sh!t, this is freaking gorgeous! This is beautiful! I love those Bleached Neons so much and they look fantastic in a gradient. The glitters are a nice addition too! Thank you Jenny! Me to, I'm really happy I went back and picked up the whole collection before they're gone. They're so fun and bright to use! I gave away that OPI since I'd never used it and now I'm kicking myself 'cause these look so pretty! Snow!!! That is so crazy! Well, your mani is adorbs!!!! 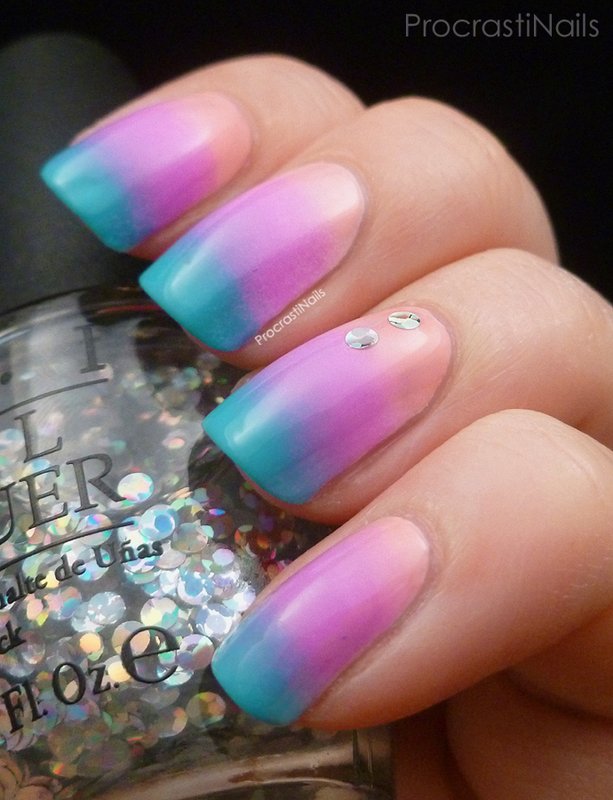 Your gradient is fantastic and I love how you placed the glitters from the OPI polish! Great job! Thank you! You have to build them up a bit, and for a gradient they definitely need undies (I did them over white, though I see now I didn't mention that in the post - oops! This is absolutely gorgeous and I love the accent nail! I never picked up that OPI but now you make me wish I had it!!! !